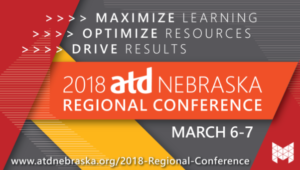 Earlier this month I had the pleasure of attending the ASTD TechKnowledge conference in San Jose California. Conferences are one of my favorite professional development opportunities. Being able to (at least partially) remove yourself from day-to-day responsibilities and immerse yourself in your own learning is a tremendous opportunity. Attending sessions conducted by industry experts and peers and reflecting on what has been shared is one of my favorite ways to learn. I’m lucky enough to attend a few conferences a year, which I guess makes me an ‘experienced’ conference attendee. Over the years I’ve discovered many of my key takeaways from attending conferences do not come from the conference itself, but from the spontaneous and informal gatherings of friends and colleagues in the field. 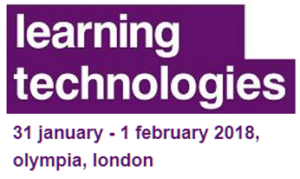 One of my key learning moments from ASTD Techknowledge took place in just such a situation. Some of the friends I often see at conferences decided to incorporate a ‘game night’ into an evening get-together. A large group of us went to a local bar, and midway through the evening a few of us gathered around the table to play a game someone had brought. 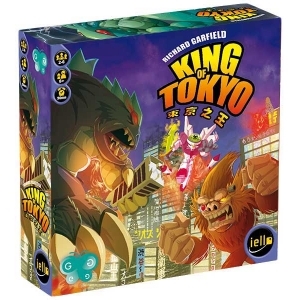 The game was called King of Tokyo. This is a game that one of my friends recommended as being excellent, so someone bought the game and brought it with them to San Jose. We had a great time playing the game, and I highly recommend picking it up. However, this post isn’t about King of Tokyo; it’s about how the group of us learned to play the game. There were five of us playing the game. Four of us had never played before, and the person who brought the game had only played it once or twice with her kids. In short, there wasn’t a great deal of knowledge and experience related to how to play the game. We spent a good amount of time reading through the instructions, which for a game like this can be pretty detailed. 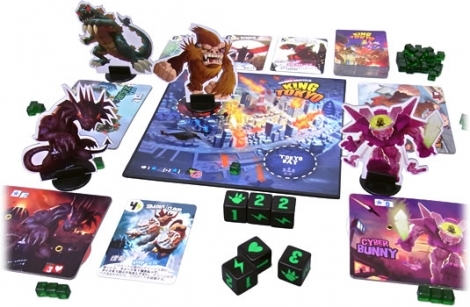 King of Tokyo is a game that is basic in appearance, but deep in practice. The four people I was playing with are some of the smartest people I know, and yet we were all struggling to learn to play. As one person would read the rules, someone would ask a question to drill down deeper and better understand it. Even when we started to play, there were many pauses and breaks to review the rules and interpret what was happening. We were concentrating so much on the “How” to play that we were completely missing out on the experience of playing the game. We played through a full game and it seemed we were all shared a similar experience that consisted of confusion and a feeling that something was missing. That all changed when a sixth person joined our table – the person who had recommended King of Tokyo in the first place. The person who joined our table understood the game’s rules and more importantly, knew the flow of how to play. We started another game, only this time we didn’t reference the instructions at all. We allowed the expert to be our guide, and our experience changed dramatically. We started with the most basic aspects of the game: The dice, the board, and our scoring cards. He showed us how to interpret each symbol on the dice, and how each roll translated into a player’s move and scoring. As we continued, specific rolls of the dice brought up new instances of learning. For example, certain rolls provided opportunities to buy energy cubes, which then brought us deeper into the game strategy as it introduced cards that could be bought to strengthen our characters. The expert served as our guide, helping us interpret each roll of the dice and each new wrinkle as it was introduced. What was most interesting to see was that with each round played, our guide was less and less present in the play, only interjecting when new game elements presented themselves or when a player misinterpreted the rules in some way and needed a correction. A game that started with every round being guided by the expert ended with the expert inserting himself into play on maybe one out of every five rounds. As you can tell by my description, the guided play was a much better experience in every sense of the word. It was a much better learning experience as it introduced foundational skills first and then added deeper skills as we progressed. More importantly, all of those skills were introduced within the context of play, rather than outside of it via instructions that did not convey the context of the game. At the end of the game we played via just the instructions, I don’t think any of the players were ready to play a game without instruction. However, after the game of guided play, I would guess that any of us could have launched a game on our own with new players. Plus, we were better prepared to explore deeper play options we had not encountered the first time because we had foundational knowledge and context to build more gameplay skills on. To put it another way, the guided play worked better because we weren’t learning to play the game; we were playing to learn the game. This experience reminded me of the value provided by having workers learn to perform while actually doing the work instead of removing them from the work for ‘training’.